In my house, we make salads from time to time using a variety of vegetables. 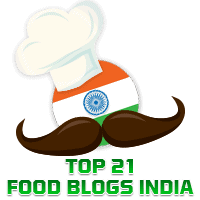 You will find therefore, elsewhere in this blog recipes for salads such as Sprouted Moong Salad, Radish and Tomato Salad, and Crunchy Corn Salad. 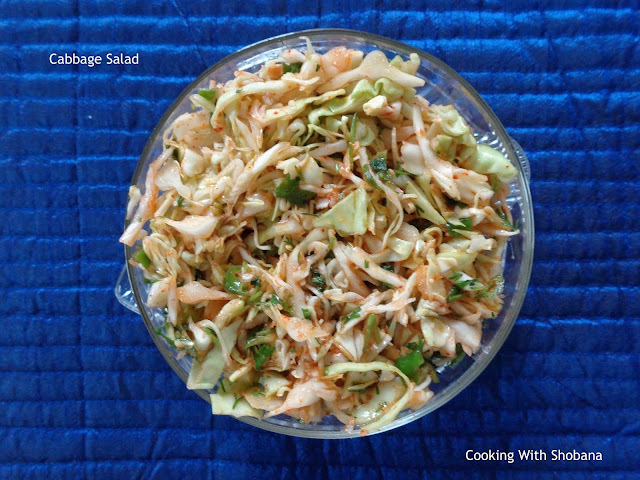 Today's recipe adapted from Cabbage Salad by the noted cookery expert, Tarlaji Dalal is easy to make yet tasty. For best results, use fresh cabbage so that you get a crunchy salad.